Swing Catalyst software is used in our indoor swing analysis studio. Our indoor golf studio with live feedback system, coupled with our golf gym is simply the fastest and most efficient way to make changes to golf swing technique. CoachNow forms an integral part of how the coaches communicate and collaborate with players, parents and other stakeholders. Each player is set up with their own Training Space where the player’s skill development gets documented. It’s like Facebook for your golf. The FocusBand is a wearable brain training device with three sensors that are placed on your head to measure your brain activity. 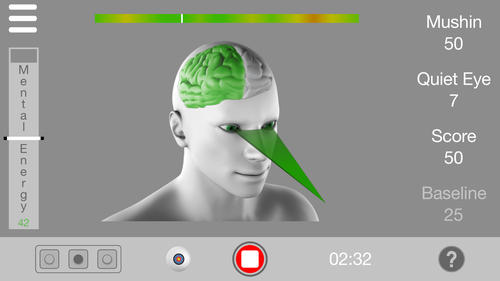 Measured data is displayed on a mobile for effortless brain training to a calmer state of mind. The FocusBand enables you to self regulate your emotional levels. Golf Stats Coach helps players to identify exactly what their strengths and weaknesses are. It therefore enables them to spend their practice time productively. Flightscope radar launch monitor is utilized to identify golf swing issues that the eyes cannot see. We also use it for skills challenges, competitions and to see how the player progresses. The Biomech Putting Sensor helps players identify exactly where the flaws in their putting stokes are, enabling them to improve their putting.